It’s a long day of walking but often worth it to get to those rarely seen places. Above is the lift lobby at Grosvenor House, one of Harry Siedler‘s many Sydney buildings. 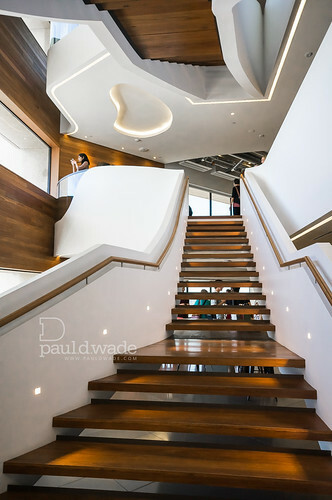 This great interior is on the 54th level of the MLC Centre and was designed by Woods Bagot for GPT Group. 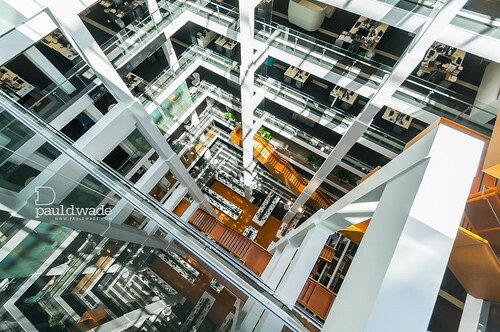 This amazing void is at 50 Martin Place, one of many Macquarie Bank owned buildings in the city. The interior is stark contrast to the ground floor original banking hall which is an early 1900s marble extravaganza! You can view more images from Sydney Open including images from the MLC Centre, Governor Phillip Tower, the NAB Building, 420 George St, and Sydney Town Hall in the album on Flickr.